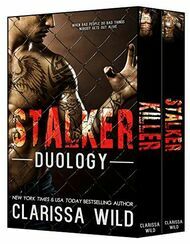 The Stalker Duology by NEW YORK TIMES & USA TODAY Bestselling Author Clarissa Wild contains both Killer (the prequel) and Stalker. F*ck me once, I'll f*ck you twice … then I'll bury you. WARNING: This book has a non-conventional ending. This isn't rainbow sprinkles & unicorn fluff. 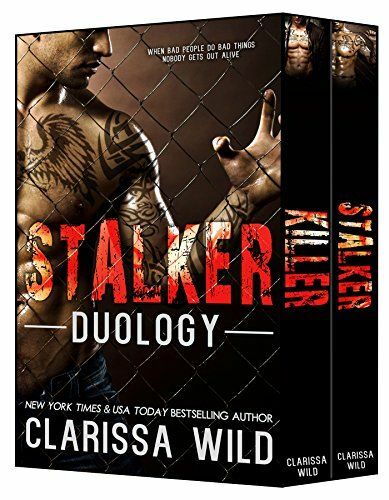 It's a dark, thrilling journey of two people clashing over love, lust, and hatred. Heed the warning. Contains graphic violence, alcohol, drugs & other disturbing content. No Cliffhanger. Complete at 120000 words. Stand Alone.